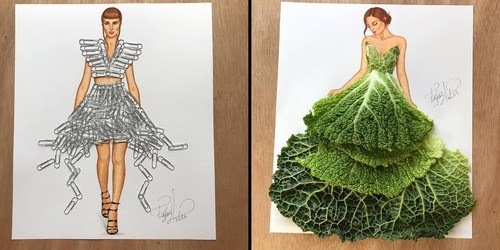 Further proof, that if you have talent and imagination, you can create art with just about anything. 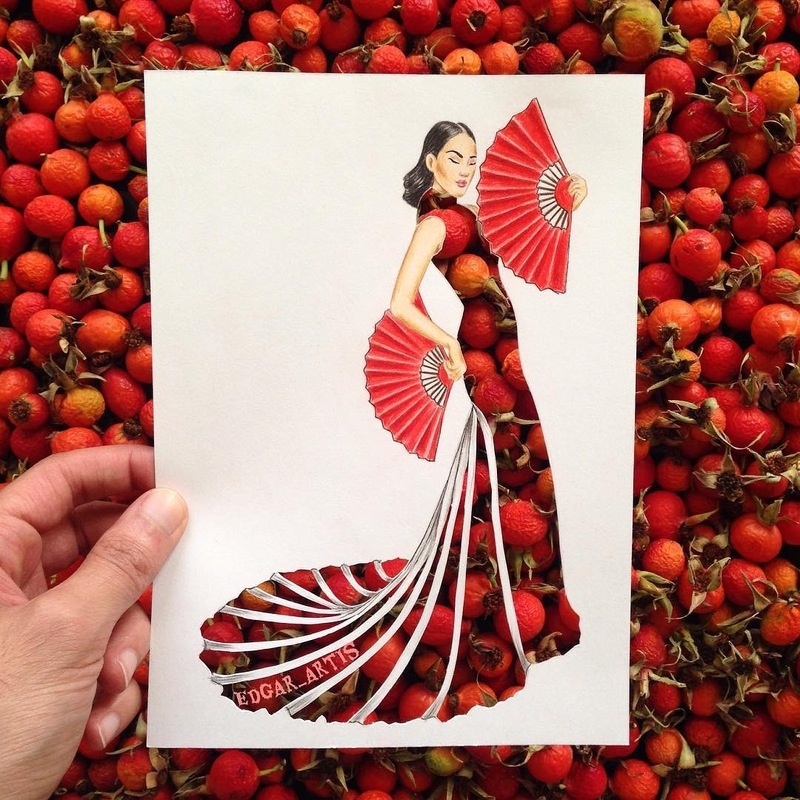 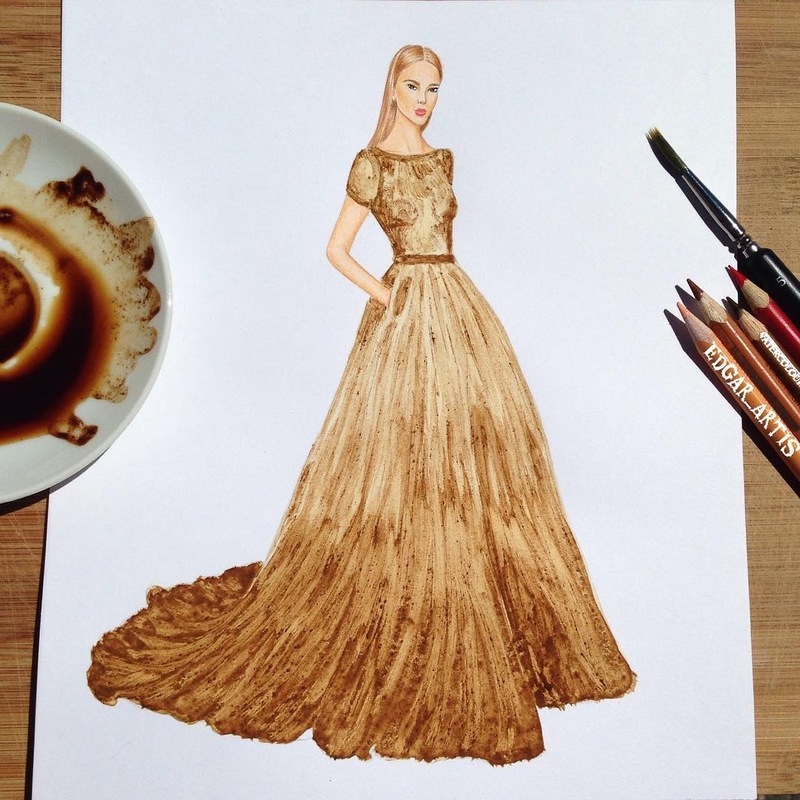 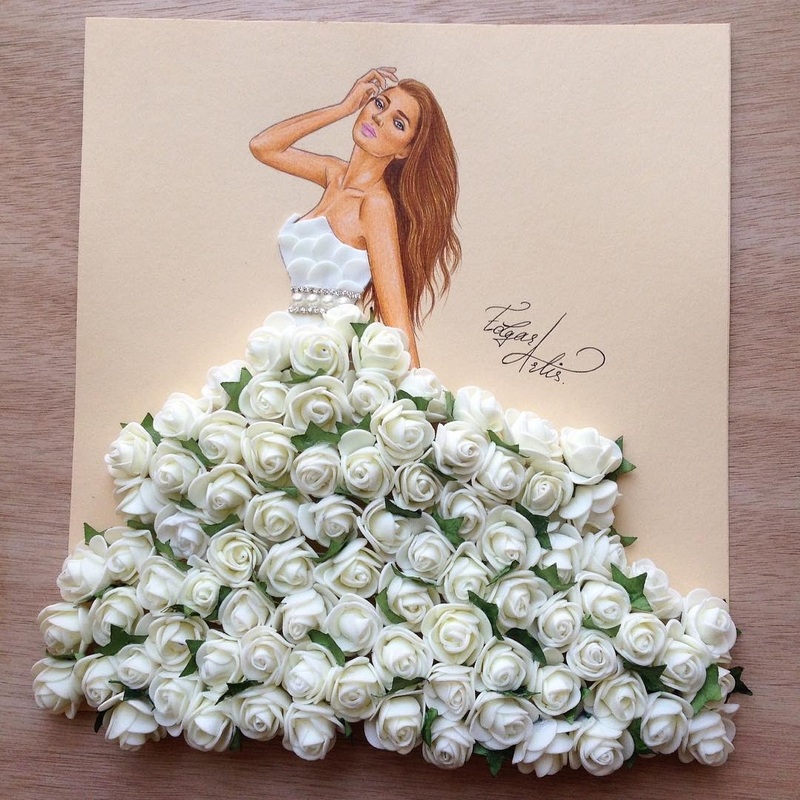 Edgar Artis is an Armenian Fashion Illustrator now based in Paris, France. 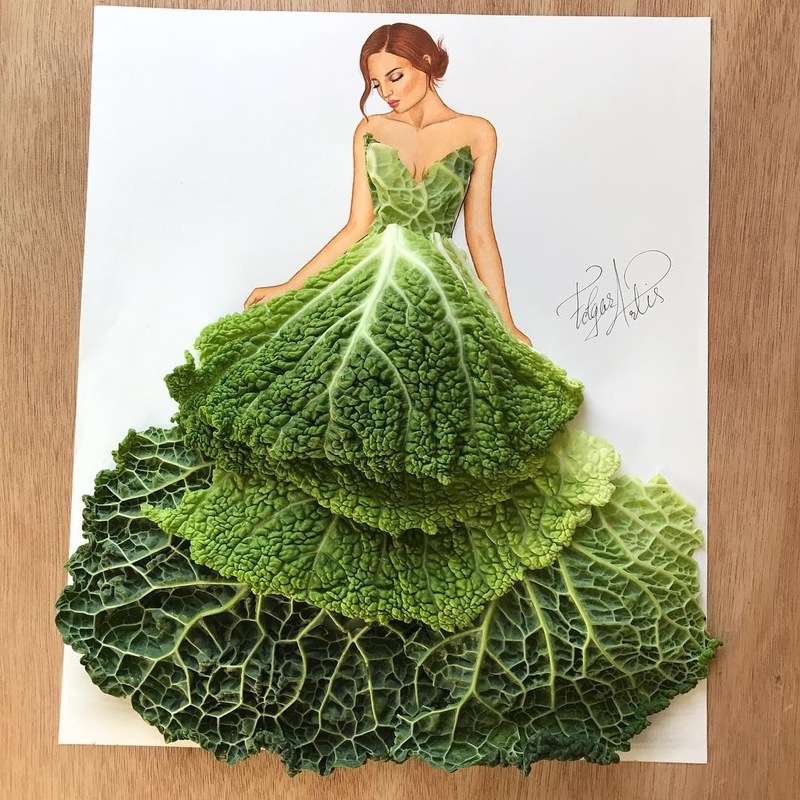 His work brings together so many materials including: foods plants and accessories, that you would not expect to see in a piece of art. 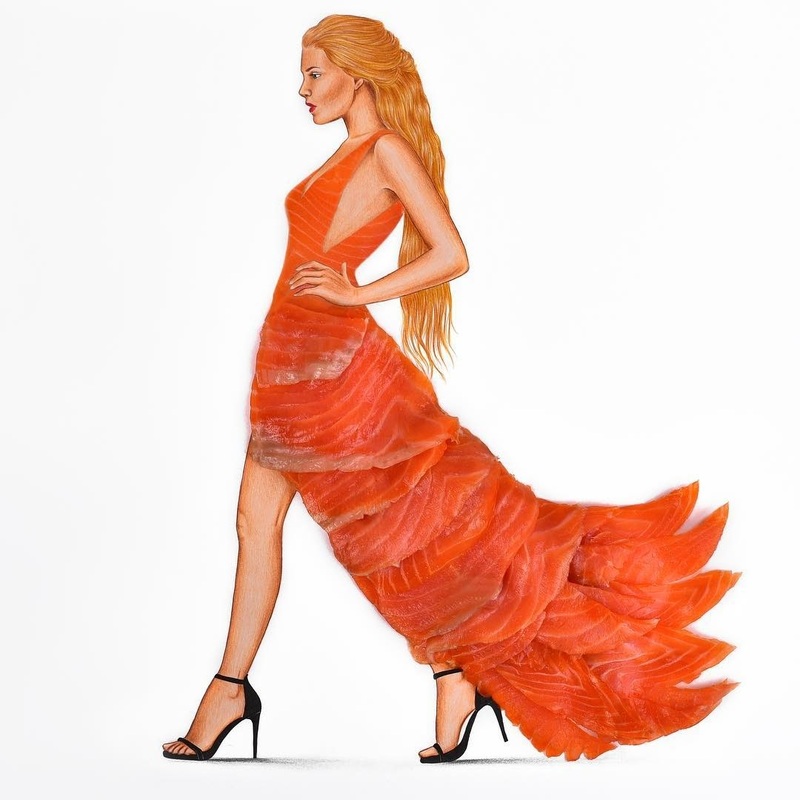 By the way, have a look at the video below, it has a really cool coloring effect for the dress. 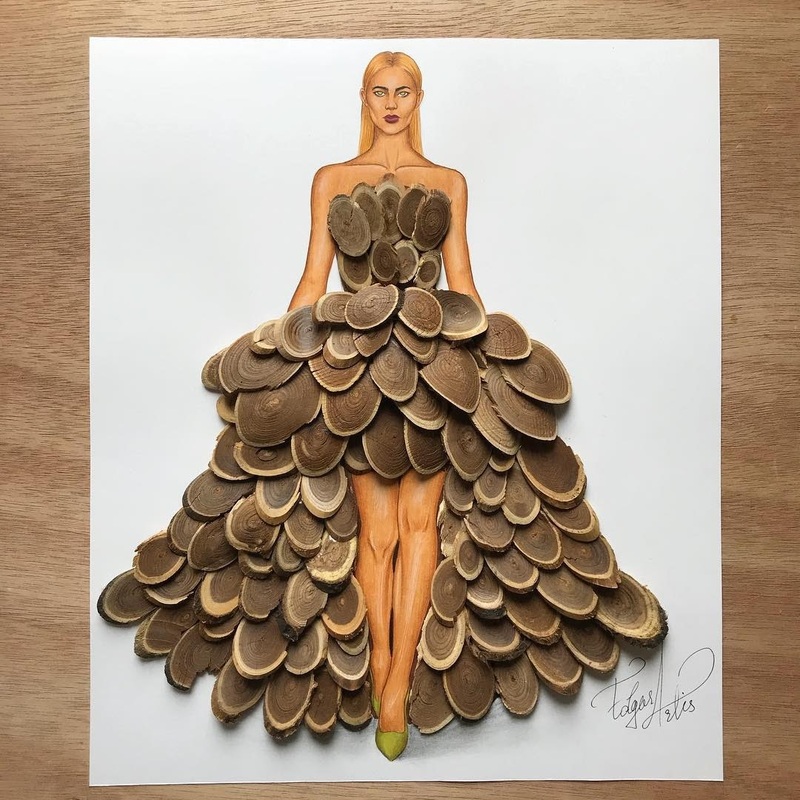 Artis' is really inspiring, providing novice artist with the confidence that, to produce original art, you don't have to pay a fortune in art supplies. 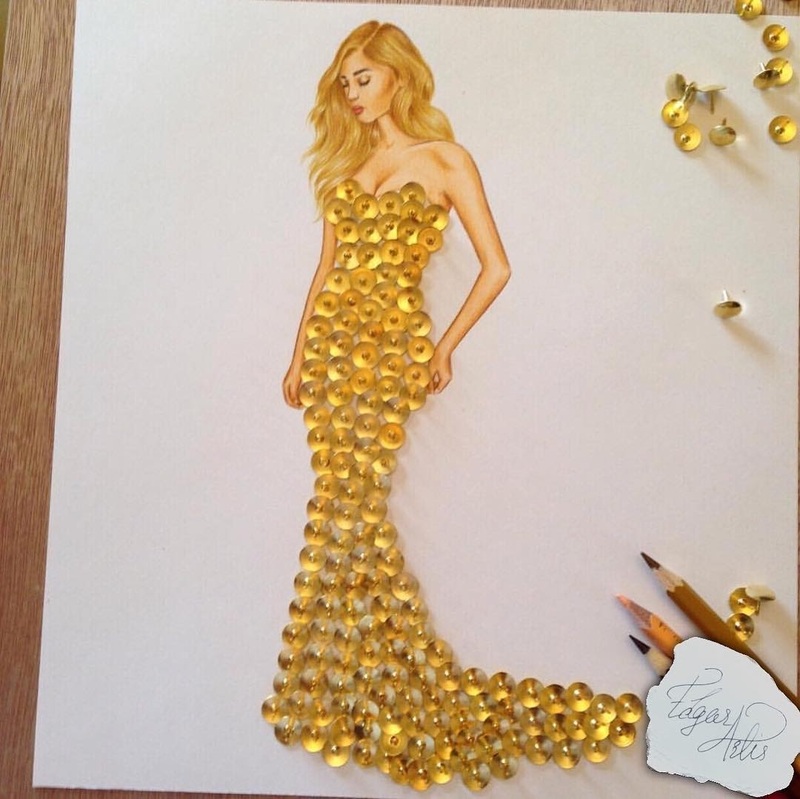 Everything you need, is probably lying around you, waiting for the spark of inspiration you need, to make use of it. 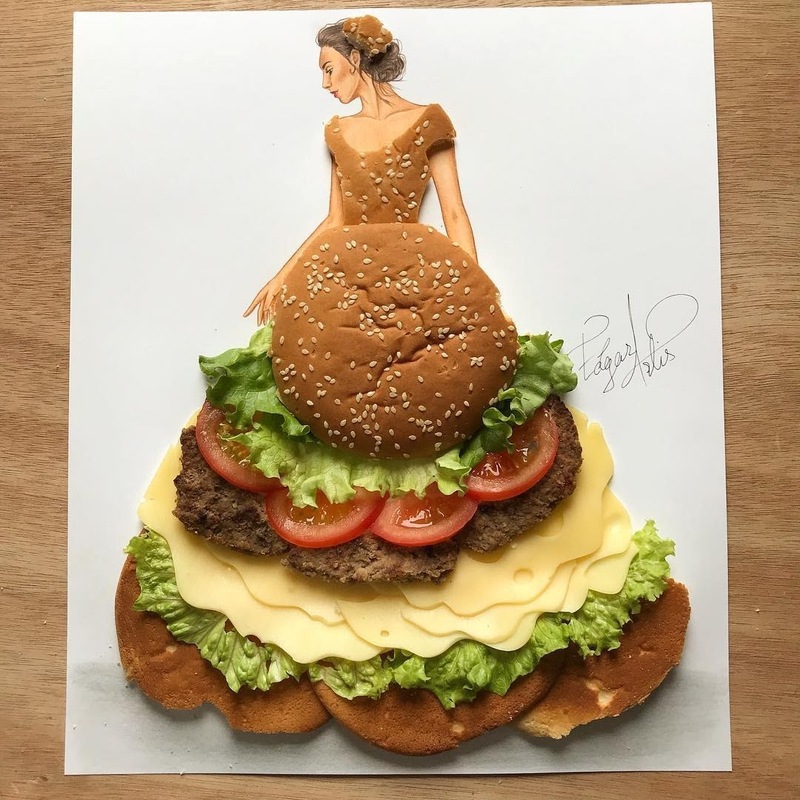 More of his work on DesignStack in the links below. 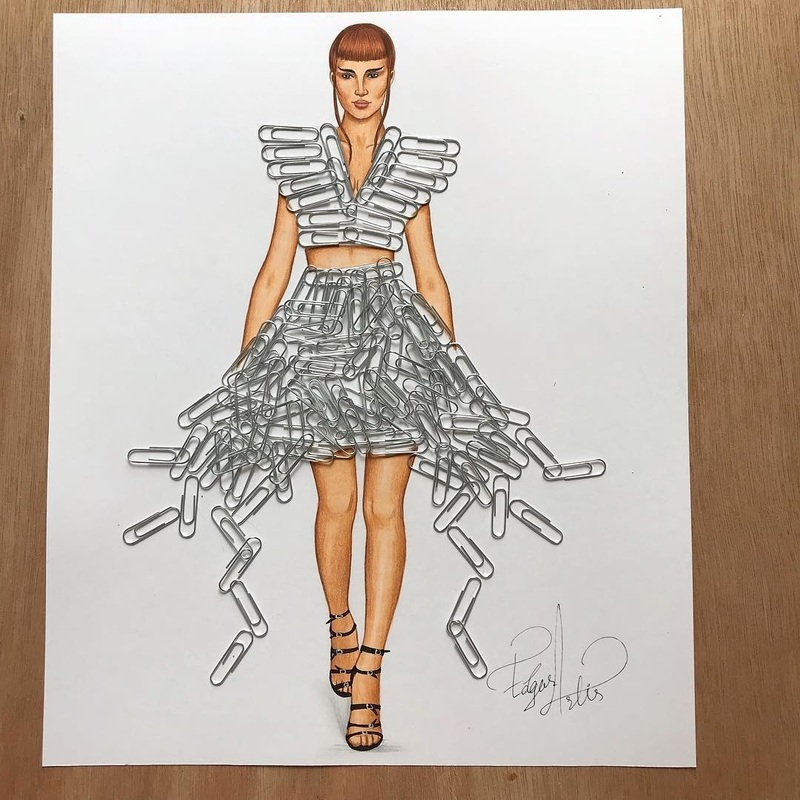 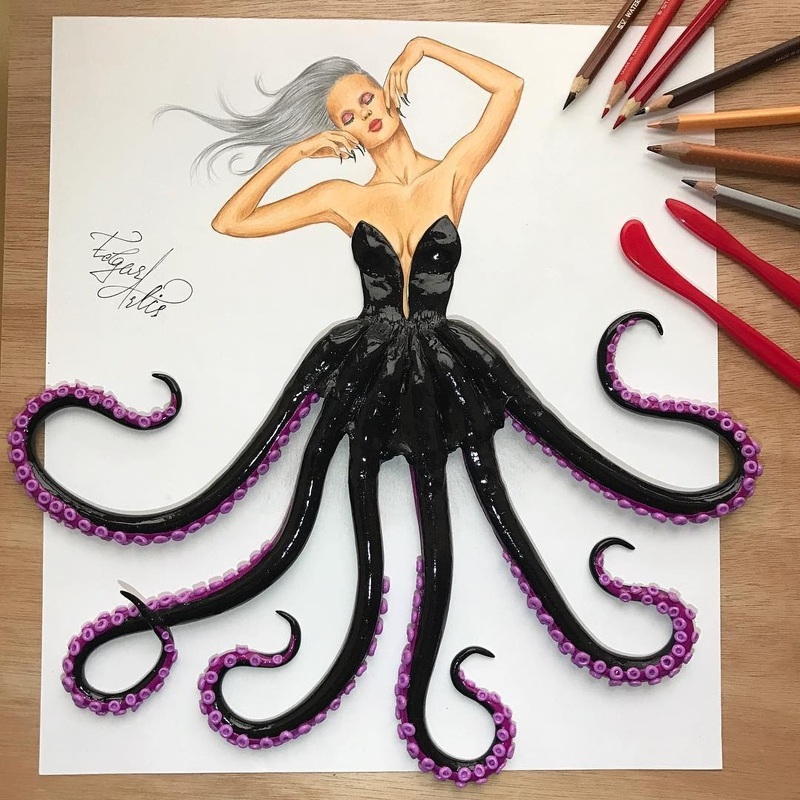 Ink in water dress by Edgar Artis. 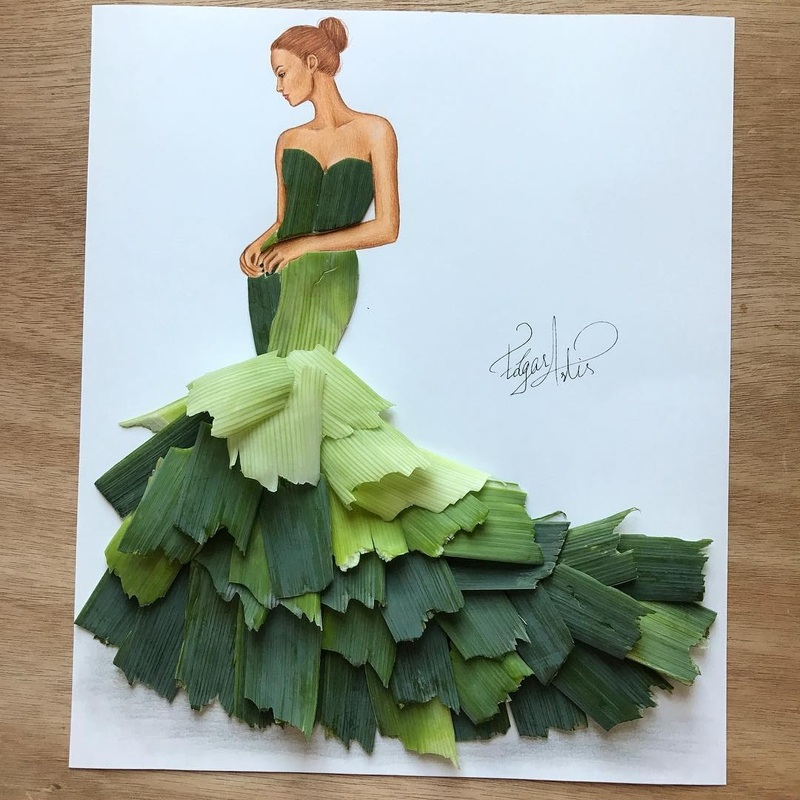 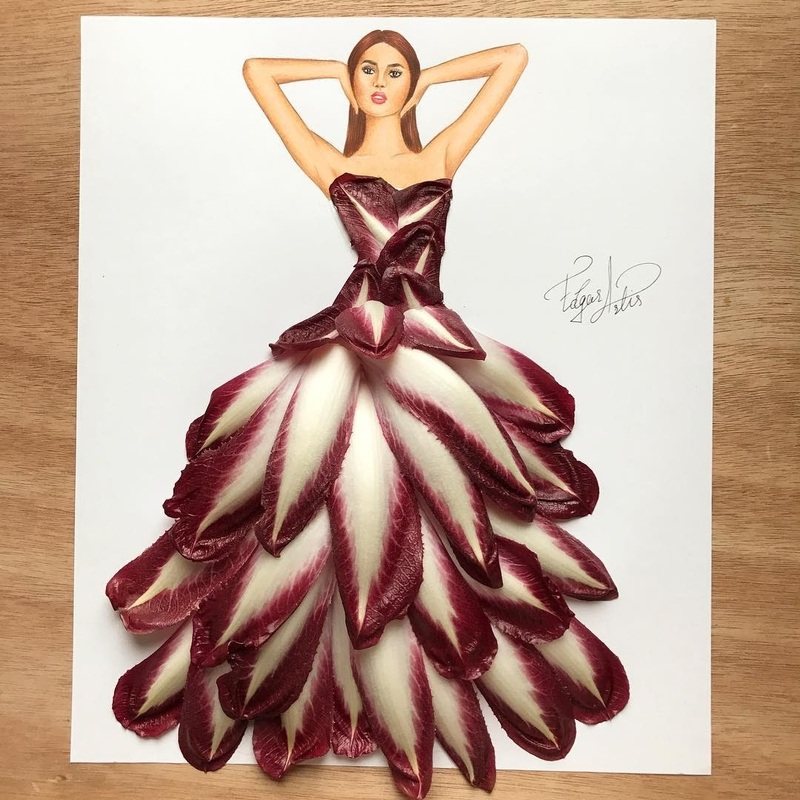 Dress Made out of Red Endive. 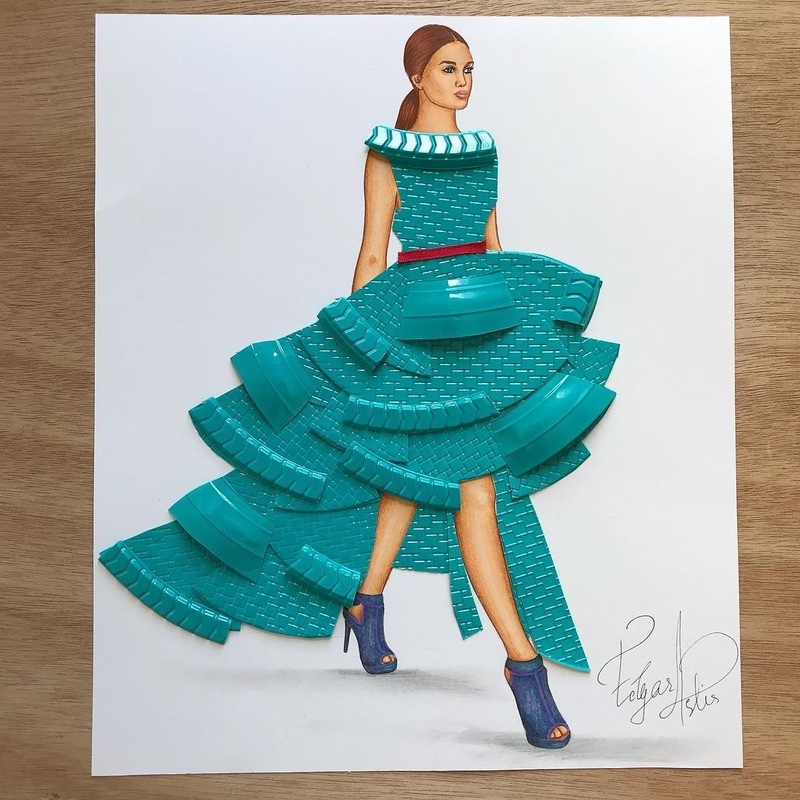 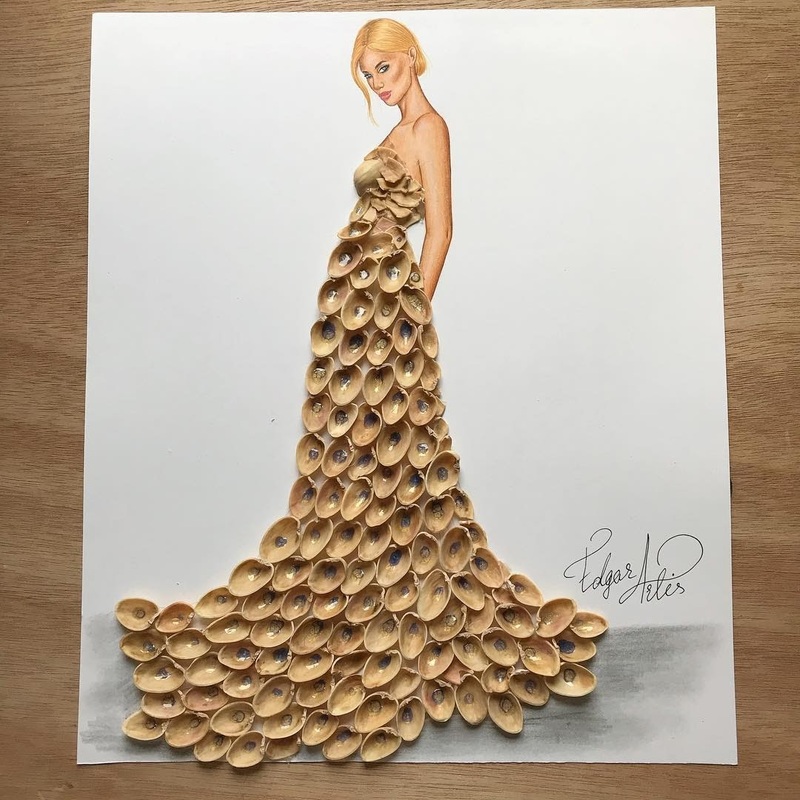 Dress made out of Pistachio Shells.